Whether you lost someone on 9/11 or knew of someone who did, the Twin Tower attacks changed your life forever. 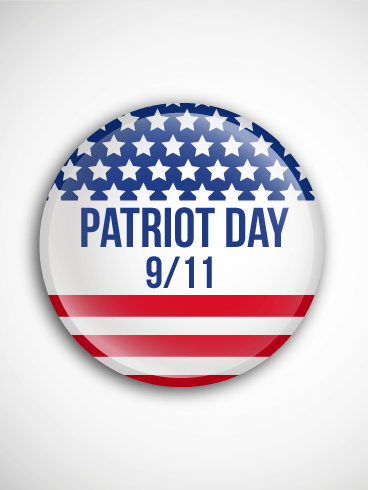 As the 16th anniversary of that tragic day approaches, send this Patriot Day card to your friends and family. The patriotic design honors the strength of the American people, while the message shows that the days may pass, but the memories will never fade. September 11, 2001, was one of the darkest days in our country's history, but it was also a day that showed the strength, bravery, and unity of the American people. 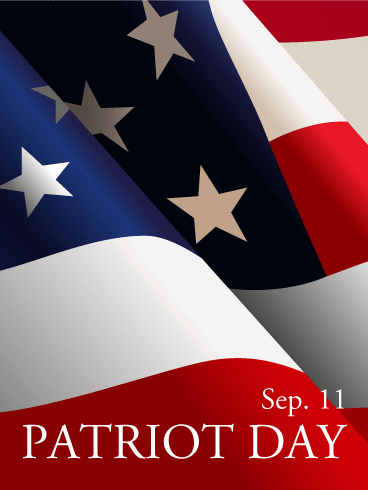 This year, to remember the people who were lost and to celebrate the American spirit, send this Patriot Day card to your loved ones. The stars and stripes are the best way to honor this historic day and what it means for us all. From the humble beginnings of the American Revolution to the fifty states that fly our flag today, our country has endured and thrived despite war, tragedy, and fierce opposition. This 9/11, honor the Americans past, present, and future who have paid the price for our freedom. 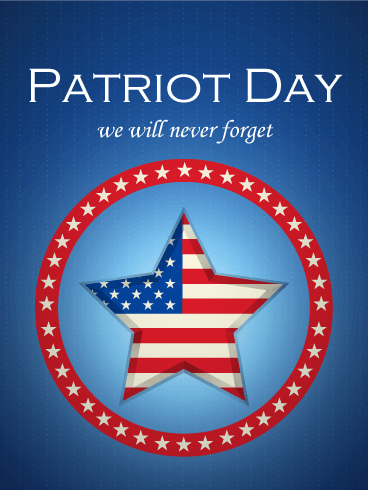 Send this Patriot's Day card in remembrance of the ones we’ve lost and in honor of those who still fight. Oh, say, does that star spangled banner yet wave! Even on the dark days that followed the attacks on September 11, 2001, the broad stripes and bright stars of the American flag reminded us that hope was not lost. 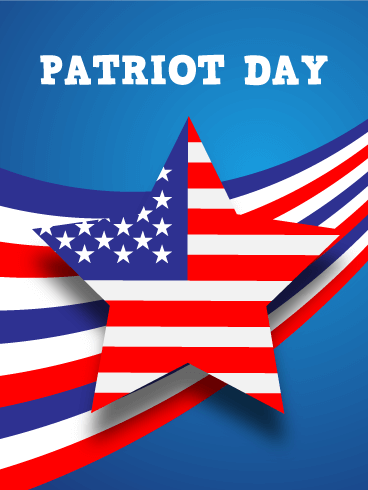 Celebrate that hope this year by sending this Patriot Day card to your family and friends. Let the red, white, and blue remind you of America’s heritage and legacy and your part in it.